Whether you’re looking for more capacity, better performance or are simply replacing a dead drive, every storage drive eventually reached end-of-life status. There are plenty of commonly-accepted methods for disposing of a traditional hard drive but as Backblaze reminds us, many of these techniques aren’t effective when dealing with solid state drives. Here, then, are a few useful techniques for disposing of dated solid state drives. Degaussing a drive by subjecting it to a very strong magnet can be effective against spinning media but is useless against data stored on chips inside SSDs so don't waste your time. 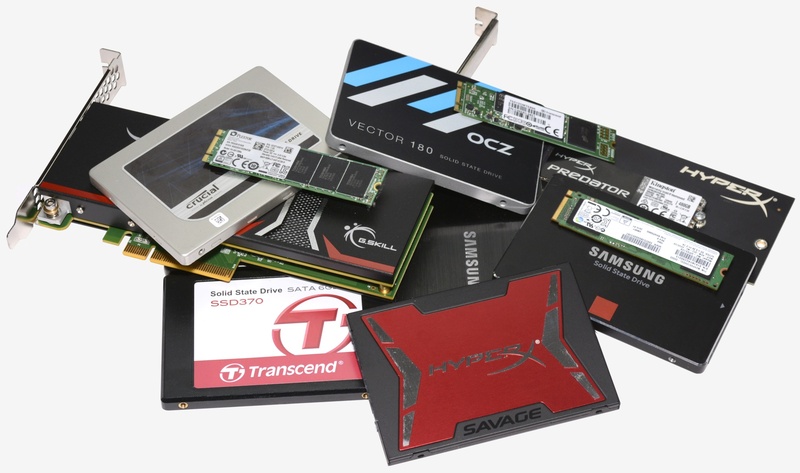 Physically destroying a drive by drilling into it or hammering in nails is incredibly effective against mechanical drives but not so much with SSDs. Unless you ensure that the drill or nail goes through each and every memory chip, it’s technically possible for data to still be retrieved from a drive that appears to be destroyed. One of the better ways to protect data on an old SSD is to encrypt the drive. Without the passcode or encryption key, Backblaze notes, any data on the drive will be useless to those that may come across it. As an added step, the online storage provider suggests reformatting the drive, encrypting it and reformatting it again. If you want to be absolutely certain that nobody can retrieve data from your old SSD, take the above steps to encrypt it and then shredding it into tiny pieces. This method isn’t cheap, however, as you’ll need special equipment to do so although I suspect some quality time with a selection of power tools could pull off similar results. Or, you could always burn it.